*The leaves turning orange and red. 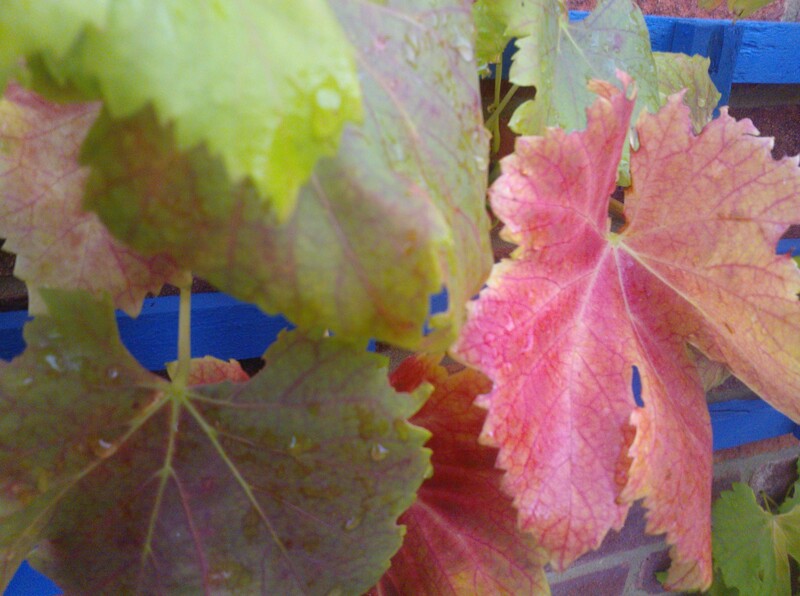 This is our vine which I think looks beautiful! 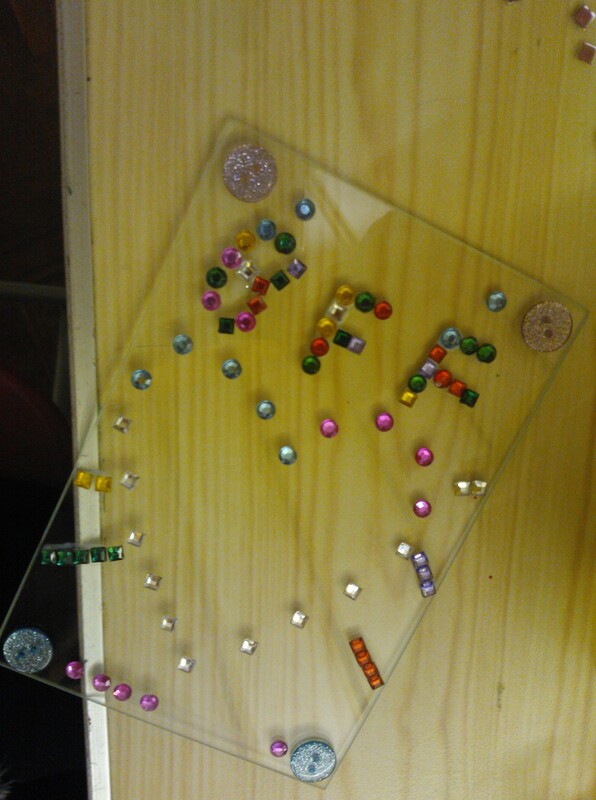 *The teenagers at one of the youth groups I run. They made some really sweet photo frames etc. *Having my sister around. 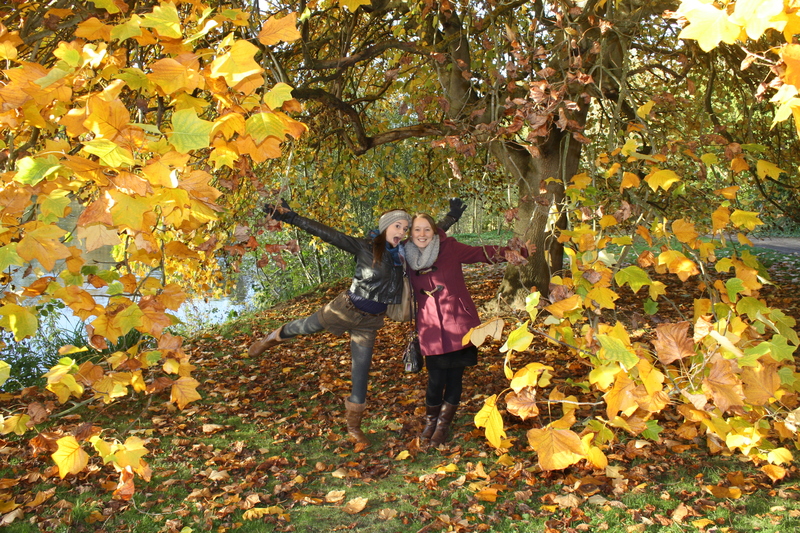 We actually took this pic last Autumn but it’s so seasonal I couldn’t resist including it! 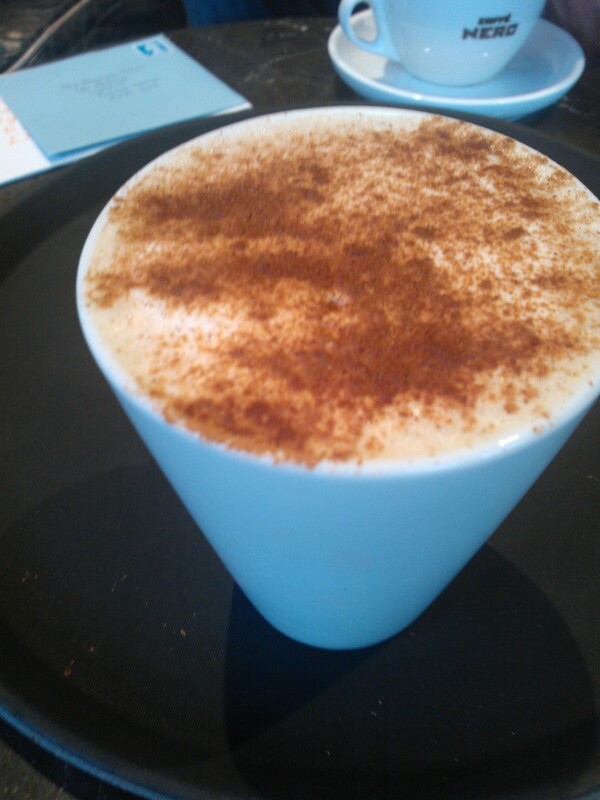 *Chai Tea at Nero’s. 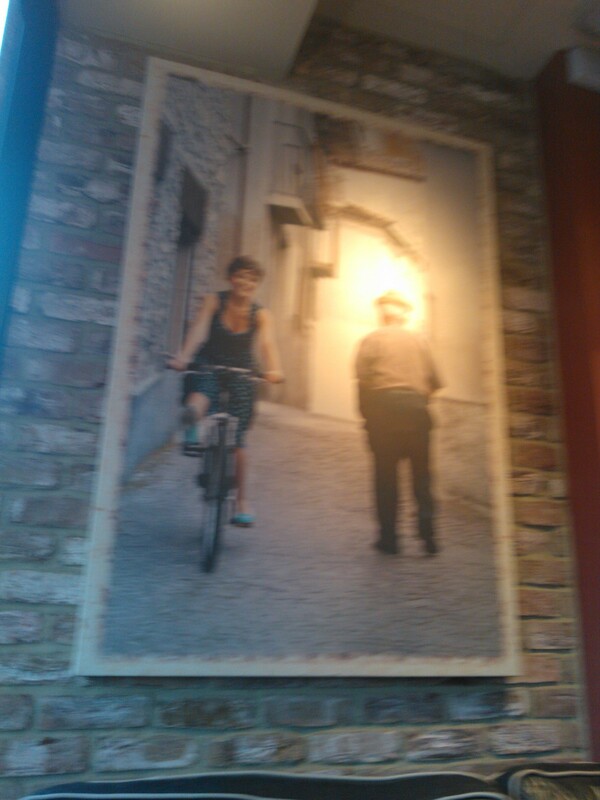 I love their posters, which remind me of Italy. *Listening to classical music – I heard an Aria from Bach’s Goldberg Variations earlier and it was so peaceful. *Reading – not a lot unfortunately as I’ve been very busy but I did love this post from Louise http://dustandpearls.wordpress.com/2013/10/10/anchor/ and this one from Freya http://www.nishaantishu.com/2013/10/benabbio_10.html , which made me want to go to Italy again. 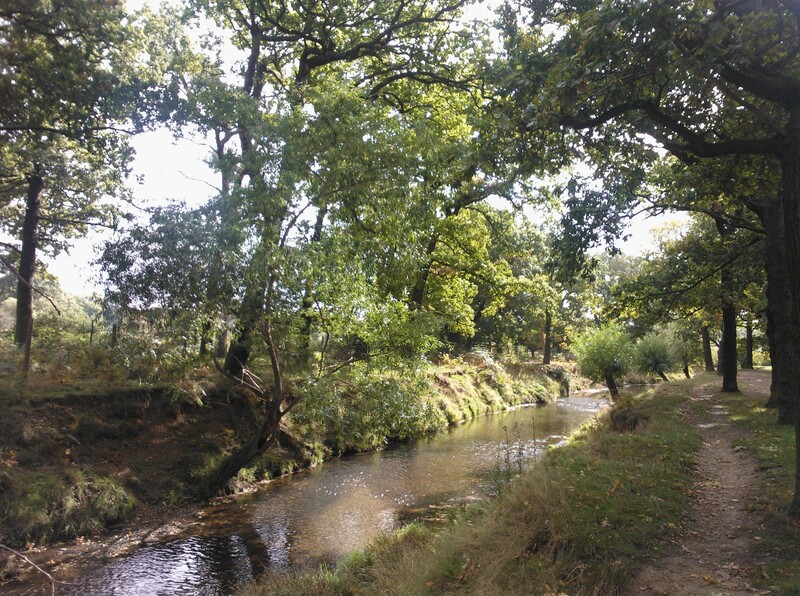 *Visiting Richmond Park – sooo lovely all year round. I couldn’t get a decent snap of the deer on my phone but I did get one of my little picnic stop. 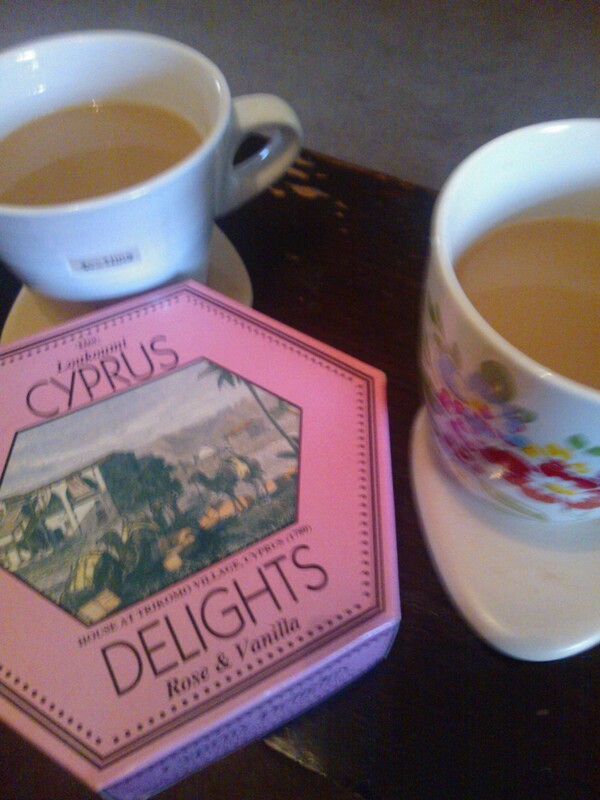 *Eating Samphire Risotto, Andrew’s Apple Cake, and Turkish Delight from my parents’ holiday!